The fastest want to bind professional reports is with our new quick, simple, side-staple report covers. 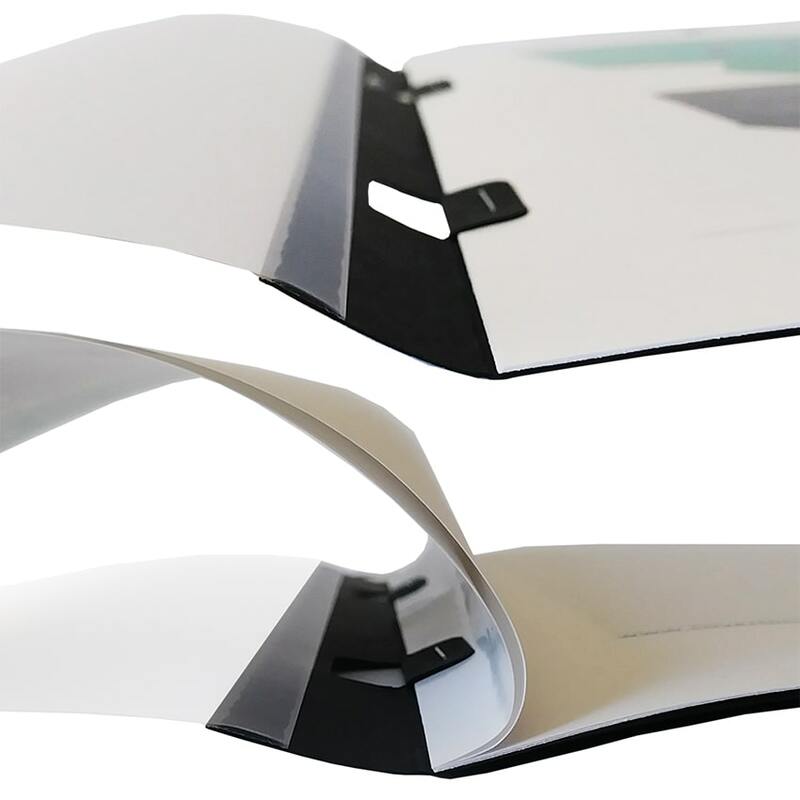 Also called Agility covers, these easy wrap-around covers have a soft matte clear front to show your first page through, and a premium linen spine and back that is available in black, white, or navy blue colors. All you need is your pages and a stapler. What is unique about these report covers is that the spine has staple flaps, which allow your cover to open all the way and lay flat, without you needing to hold it open. This is a major benefit for functionality and makes it perfect for presentations. You can also choose whether to buy a 30-pack or a 100-pack of these covers, which means you don't have to over-buy and store a bunch of covers that you may use down the line. This versatile way of buying makes it good for both businesses or even small schools or individuals. 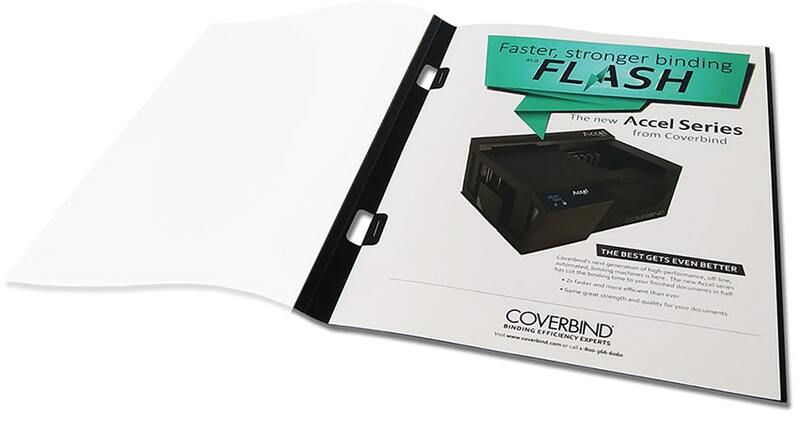 Super convenient and offering an incredibly fast way to make a professional report, these Agility covers pair together two premium quality covers to create an attractive final look, while being completely affordable. The front cover is clear so you can easily see your entire first page through. This means you can essentially customize each cover individually, if need be, by simply creating a custom first page. The clear front has a matte finish, which looks smooth and soft, reducing glare and helping your first page to be more easily viewed in harsher lighting settings, such as under fluorescent office lights or outdoors. The backing is made of a sturdy 80 lb cover stock with a classic linen texture. It wraps around the spine and to the front, so you have a clean vertical strip of linen on the left side of your front cover as well. This adds a nice 'bound' look, and helps accentuate the brand coloring. Each cover requires just two staples to bind. You staple them where you see the flap cut-outs. So just place your pages into the cover, and staple on the flaps. Any basic stapler will work with these covers. The flaps let you or your reader open the front cover all the way so that it lays flat, without needing to hold it open; a unique trait that can't easily be found on other covers. 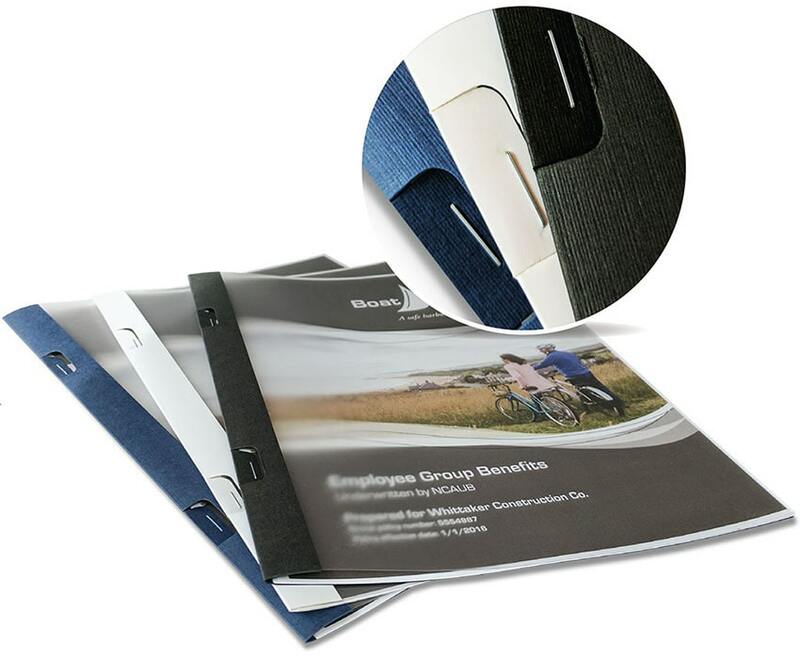 On sale now through the end of April 2019 only, you can get 15% off these already inexpensive report cover folders. It is a great time to stock up! Just use the promo code below when you shop.